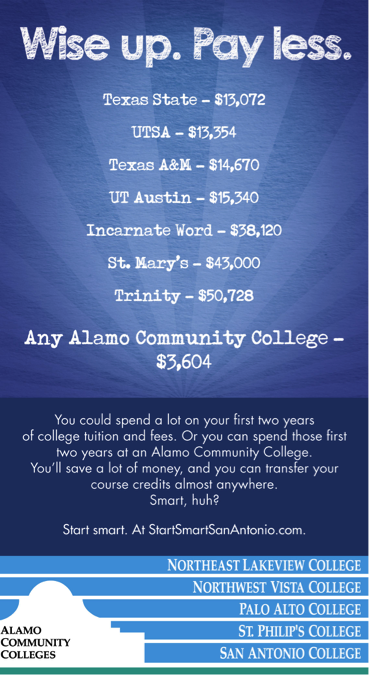 Alamo Community Colleges were four (4) weeks behind the traditional advertising period to target fall enrollment, which had a goal of 2% growth over prior year. Gas prices were at all-time highs and the economy was on the verge of recession, creating an environment where consumers were scrutinizing their investment on education. The district’s website was cluttered, with limited access for the potential student to get information. and largely driven by a corporate culture versus a welcoming and friendly environment eliciting interaction with the potential student. Within three weeks of being hired, Anderson developed a message that was targeted to parents focusing on affordability when compared to four-year institutions as well as transferability opportunities. We launched a secondary message targeted to students that focused on earning potential with a higher education. We also created a website landing page that acted as a clean and easy entry point for the potential students. The campaign was executed through targeted direct mail, newspaper, television, outdoor and radio. 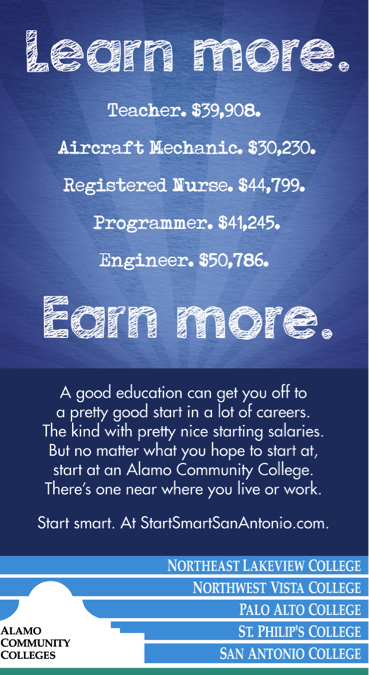 In the initial Fall 2008 campaign, the Alamo Community Colleges experienced record enrollment with a growth rate of 3.5%, exceeding projections by 1.5%. The campaign was such a success, we ran it again and for Spring 2009, enrollment hit a record high of 5% growth over same period previous year. The agency won two ADDY Awards for the creation of this campaign.